Despite my endless rhetoric on the difficulties with cold weather, winter does allow me to indulge in some of my favorites: hot tea, fuzzy socks, curling up by a fireplace, and of course, rich and hearty stews. When I decided to invite some friends over for dinner, it just so happened to be one of those bone-chilling evenings that begged for a rich meal. I had been dying to make a seriously good chili for a while, and this was the golden opportunity. 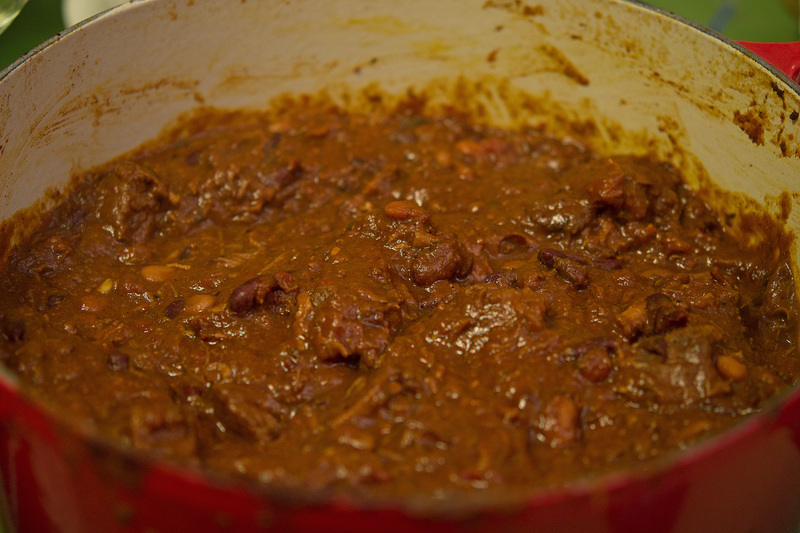 Ladies and gentlemen, let me introduce you to the godfather of all chilies: Slow Braised Chili con Carne. 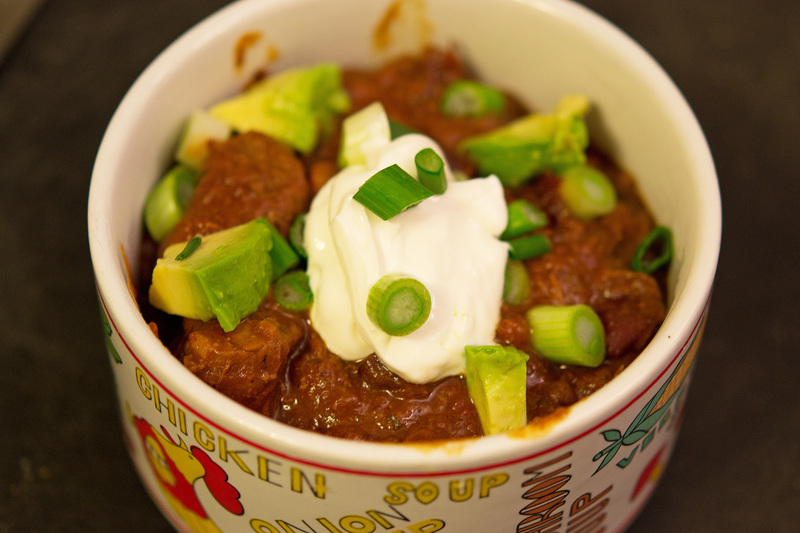 Chili con carne (chili pepper with meat) is a stew meant to be thick and hearty. 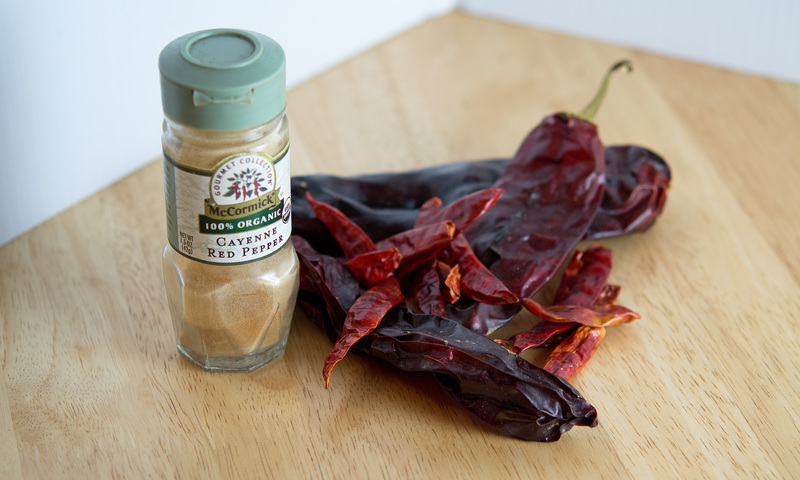 Most standard chilies use ground beef, but this one calls for whole chuck. The difference is undeniable, and the payoff is unbeatable. For the “chili” part, there were no less than THREE different varieties, all pureed into a sinfully spicy mix that is added to the pot at one’s own discretion (my personal taste used practically all of it). 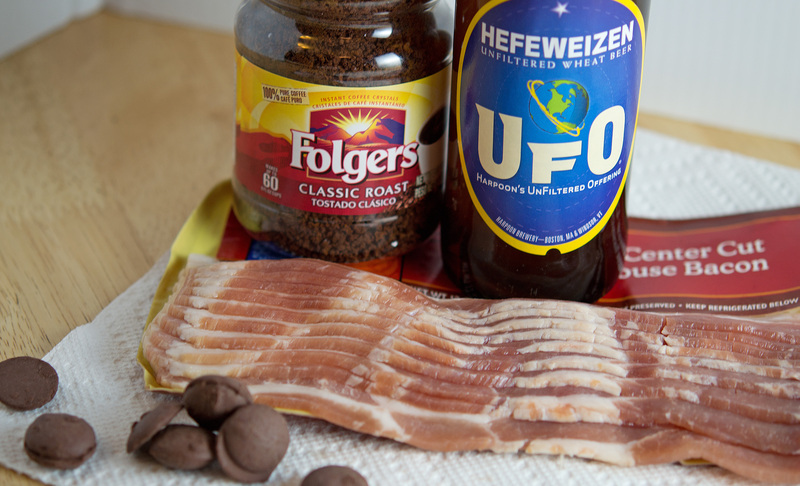 While the standard ingredients were phenomenal, it was the two “B’s” and “C’s” of the recipe that set this chili apart: Bacon and Beer, Coffee and Chocolate. For those of you thinking that I’m utterly insane, I cannot emphasize how much you will fall in love with the chili. 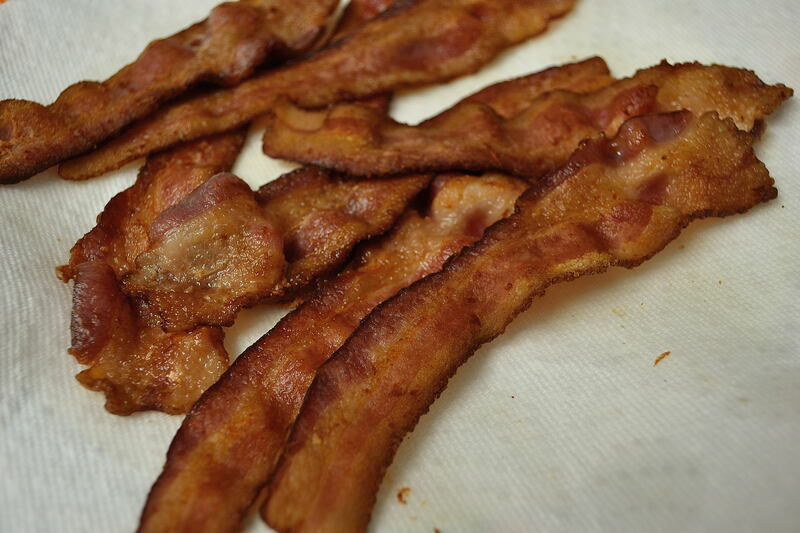 The bacon is an obvious plus (everything’s better with it), while the beer helps to tenderize the chuck. The coffee intensifies the meat’s flavor (yet is indiscernible itself), while the chocolate (added at the very end) provides a beautiful depth. 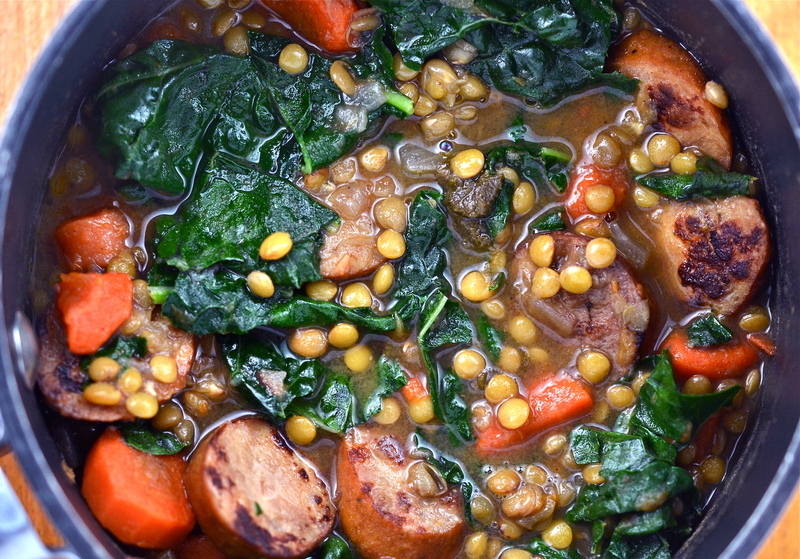 The result is one of the richest, most delicious chilies you will ever try (there were no leftovers, not even a bite) – click HERE to see how to make this epic stew. As I mentioned earlier, this is an epic chili. It embodies a number of flavors, yet manages to transform them into an intoxicating whole. This immediately called to mind the term Gesamtkunstwerk, German for “total work of art.” This was an aesthetic pioneered in opera by the German composer Richard Wagner. Wagner embraced the rich textures and harmonies of large-scale works, coupling visual and dramatic elements with his music to augment the overall experience. For this particular dish, I chose the Ouverture from Wagner’s Der fliegende Holländer – an opera based on the legend of a man doomed to sail the oceans for all eternity until he finds true love. Like the legend, this dish requires a great deal of patience and time – its richness also perfectly complements the complexities of Wagner’s scoring for the work. The recording I’ve included is with the Chicago Symphony Orchestra under direction of Sir Georg Solti – enjoy! Boston and I have a love-hate relationship. There are times when I can’t get enough of this place, wanting to breathe in every ounce of its thriving energy and warmth. 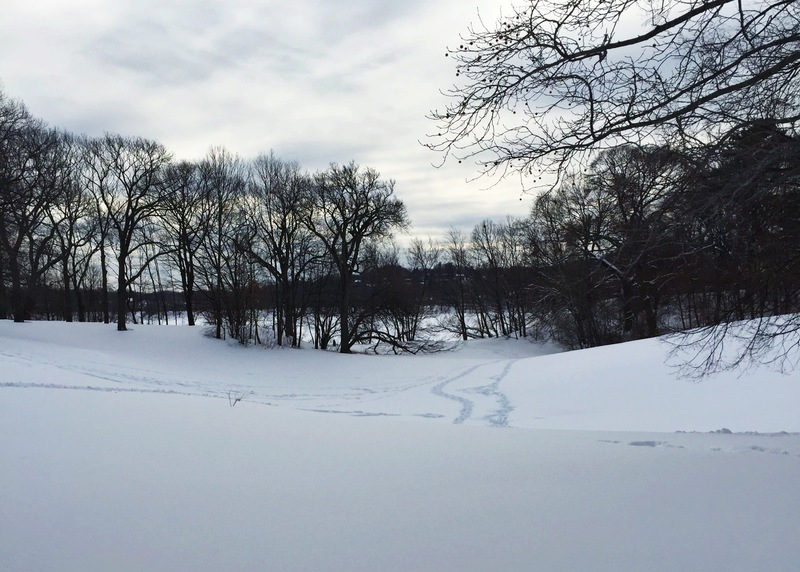 Then there are times like this weekend, when the temperature drops to 8 degrees F without warning. Needless to say, I am not built for this. My beloved Le Creuset becomes a regular in my kitchen during these unbearable conditions. I had a group of friends over the other night as a belated birthday dinner for my friend Sev (featured previously on this blog for his renowned fondue), and it was yet another bone-chilling evening. With my Le Creuset fired up and ready, I made a hearty batch of Ragù alla Bolognese that fought off the chilly weather quite beautifully. Whether using a dutch oven or a slow cooker, the key to a good bolognese is low and slow. 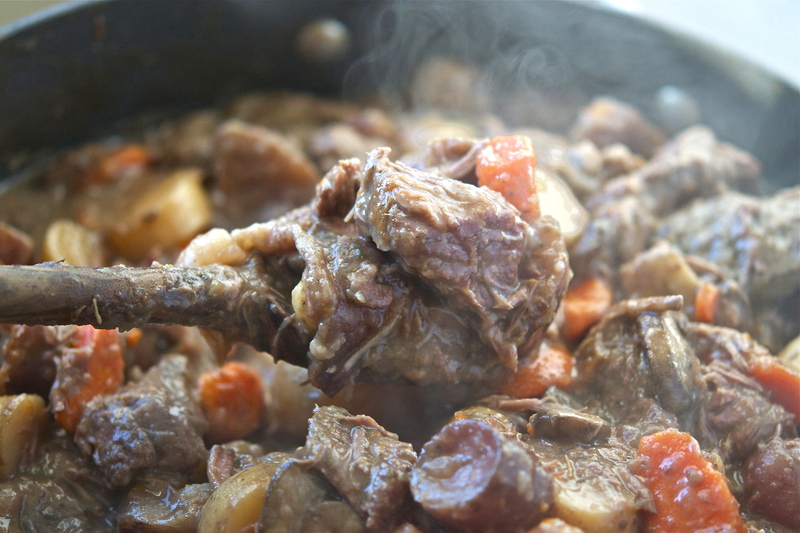 Like a stew, the flavor deepens beautifully the longer it simmers. 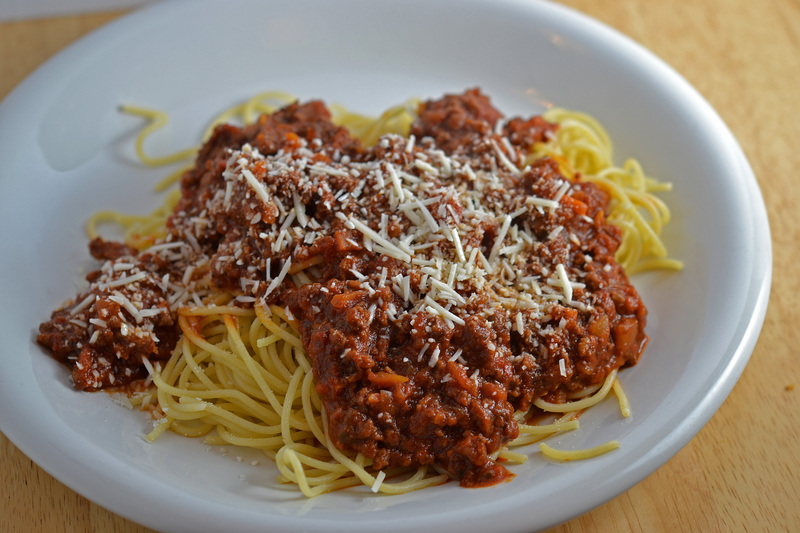 Authentic bolognese calls for chunks of meat, so the longer it stews the more tender the meat can become. This bolognese, on the other hand, calls for ground chuck, giving you the option to cook it as short as 30 minutes or as long as 4 hours. 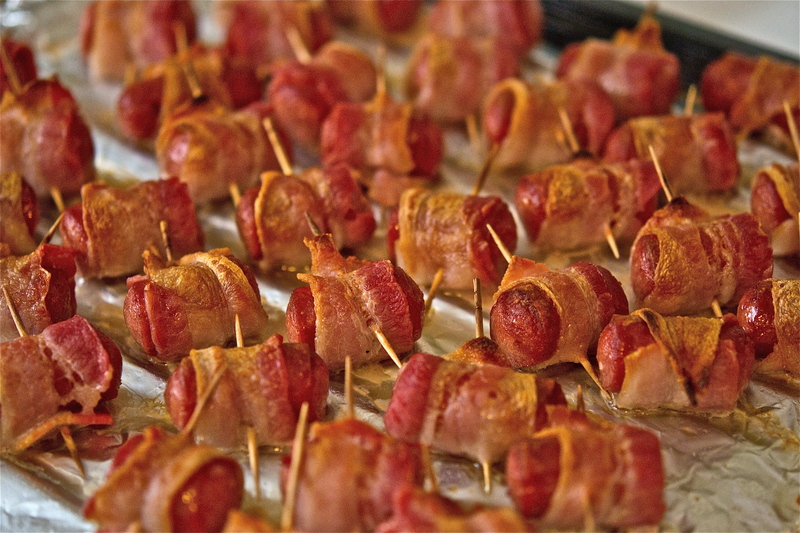 Thanks to the Pioneer Woman, this recipe had gone viral in the blogosphere. I made a few changes (like the addition of hot sausage) and wanted to give it an authentic edge by cooking it for hours. I also served it over spaghetti (what I had), though the traditional pairing is tagliatelle. 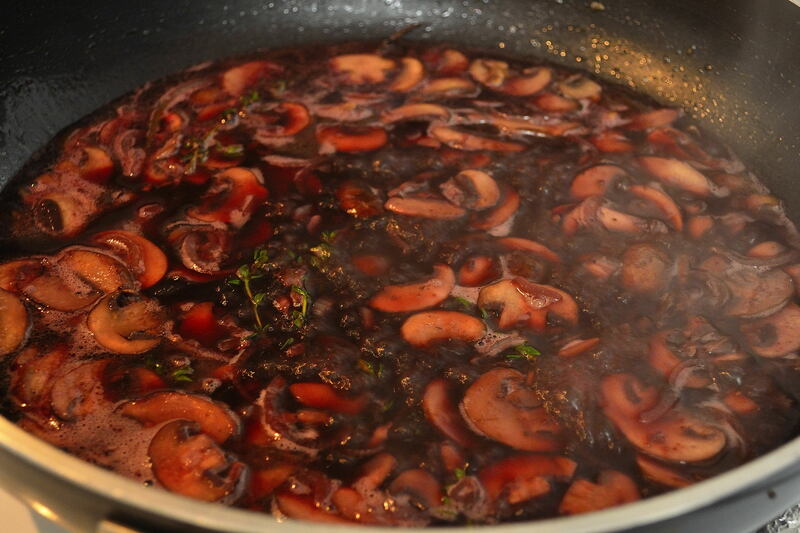 The result was fabulous – click HERE to see how to make this beautiful, soul-warming sauce. I thought a lighter side would be appropriate for this dish, yet wasn’t keen on the “salad” idea. 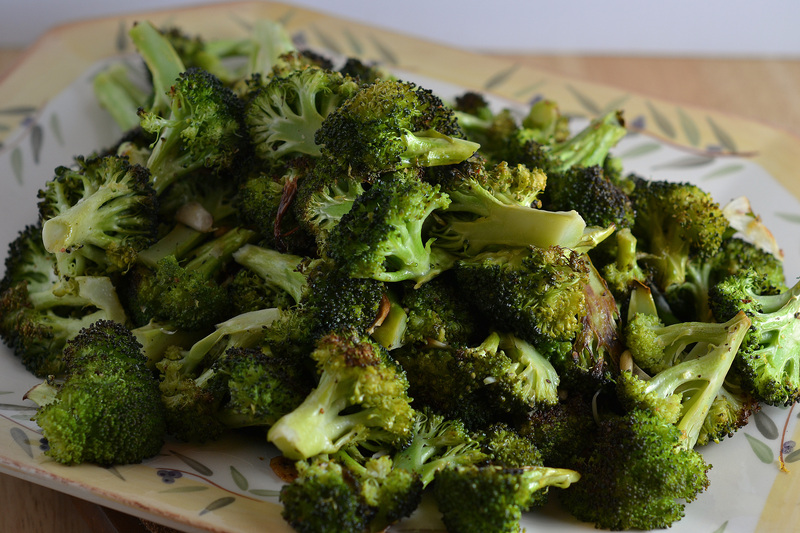 With that, I made Lemon-Garlic Broccoli that, to my surprise, almost outshone the main course! It’s quite simple, with no more than a handle of pantry staples and ready to go in under 30 minutes. 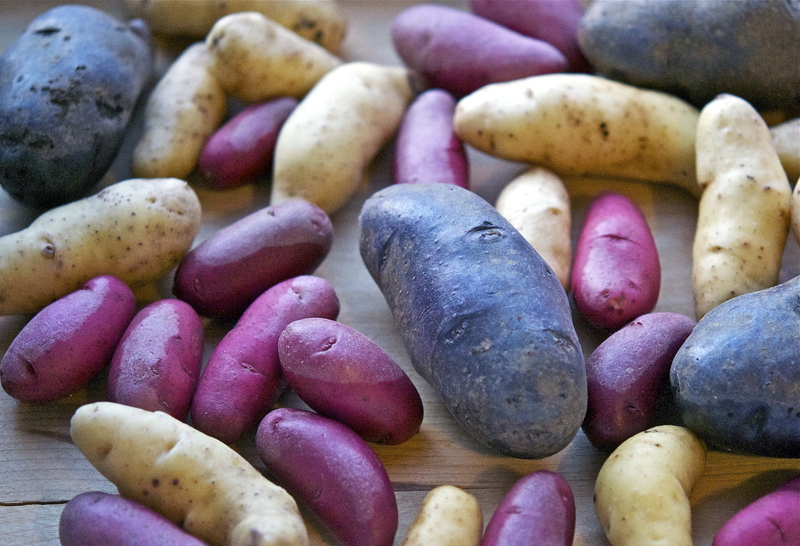 Trust me, TRY this side dish – you won’t regret it. Click HERE to see the recipe. 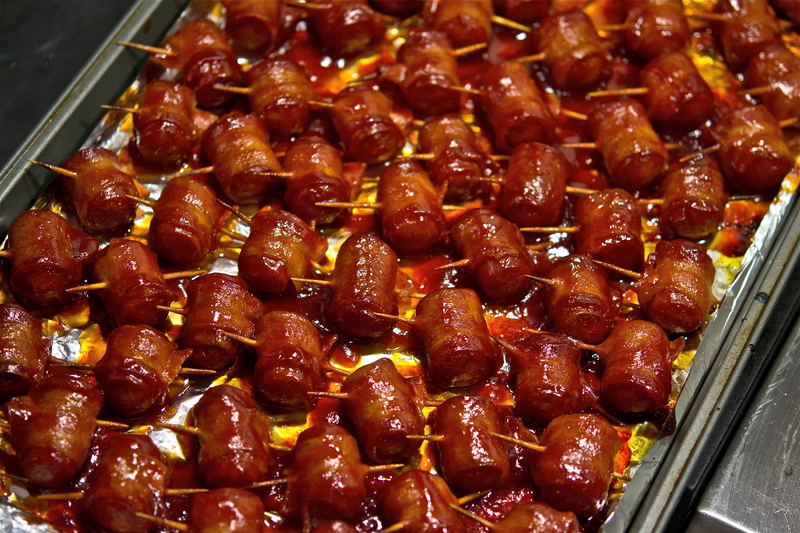 For the pairing, I wanted to emphasize the developed flavor this dish receives from cooking for a long period of time. That depth of flavor led me to Chopin’s Étude Op. 25, No. 12 “The Ocean”. The entire work is structured on falling and rising arpeggios, hence the oceanic appellation, with modulations developing the theme throughout. The work climaxes in C Major, and ends in a massive arpeggio covering five octaves . 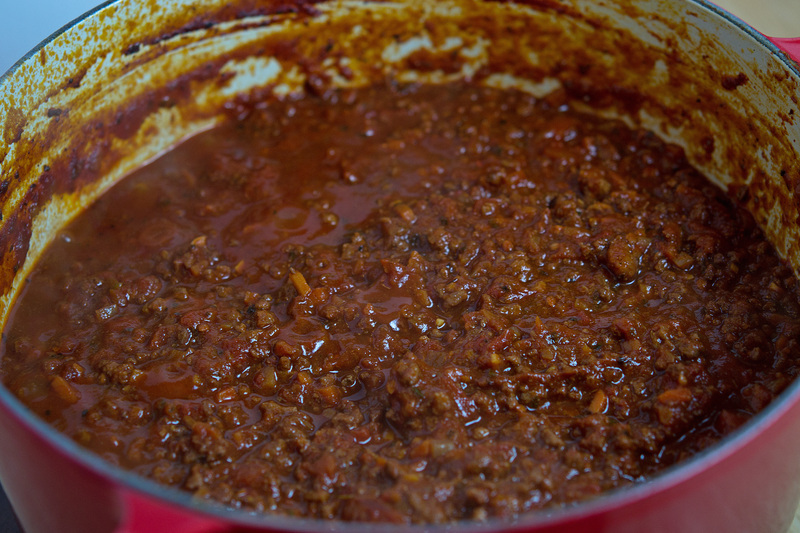 The richness of these piece is perfect for this bolognese sauce. The recording below is with Vladimir Horowitz – enjoy! This dish was my first time cooking with flank steak – given it is a much leaner steak than your standard T-bone, I was extremely nervous about how to make the most out of this cut. 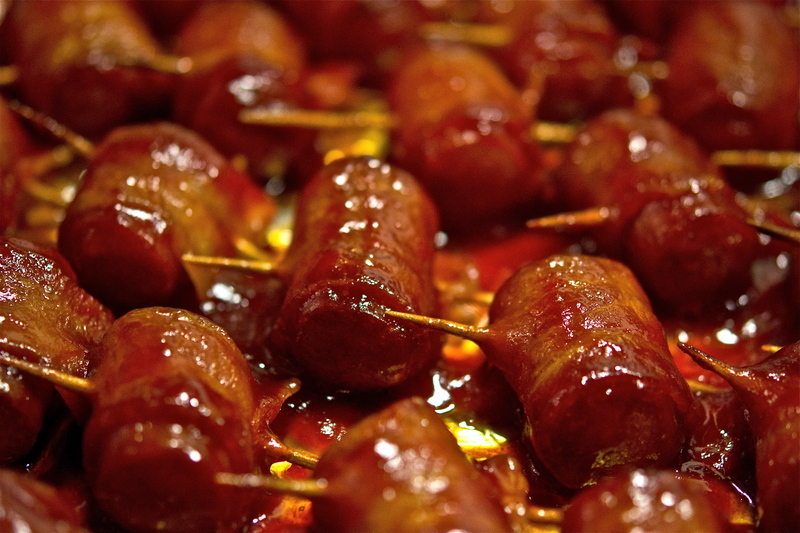 I had two options – simply cooked then covered it with a sauce, or a marinade. I went with the latter, and thank God I did! If you remember from my previous post, I’m not a big meat eater, but this steak was amazing! Not only that, it fit beautifully into my “get-rid-of-all-that-leftover-OJ” efforts (like this orange cake had from a previous post). If you like steak, but don’t want to shell out big bucks for it, I highly recommend giving this Broiled Flank Steak with Citrus-Honey Mustard Marinade a shot! 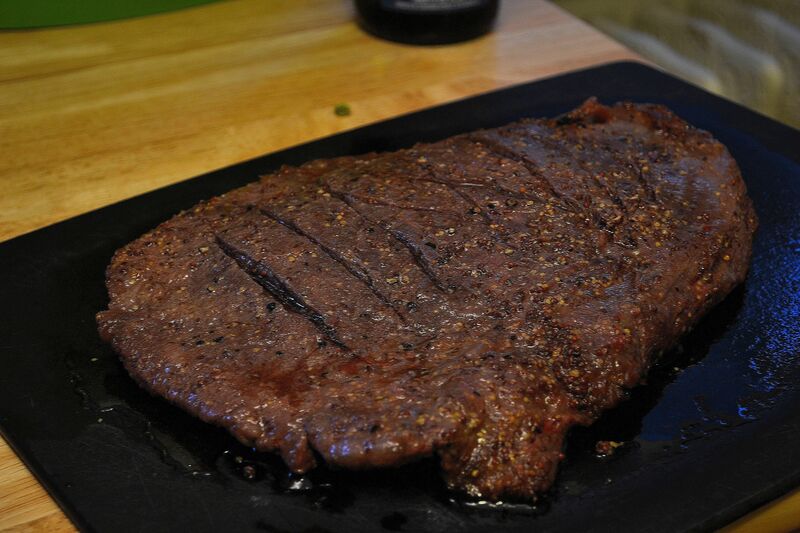 Flank steak comes from the abdominal section of a cow, making it much leaner and tougher than your more expensive cuts (i.e short loin, chuck, etc). 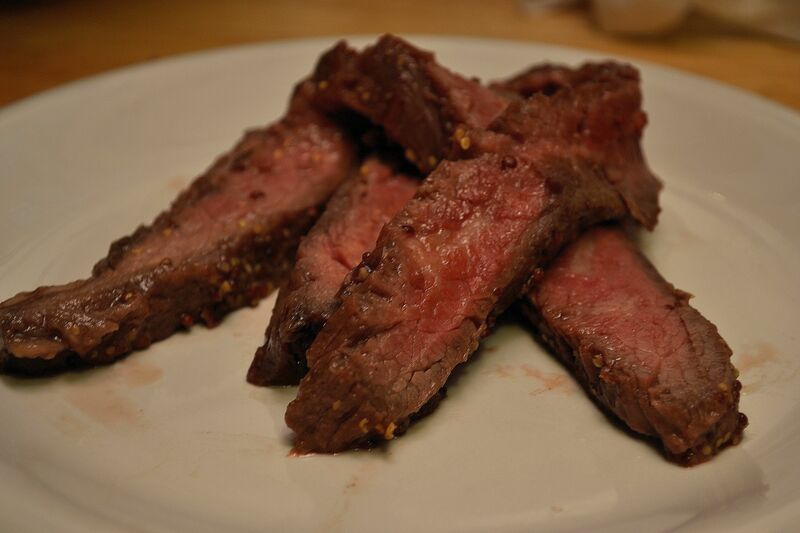 For quite some time, it was seen as a “cheap, unreliable cut.” Yet that opinion has drastically changed given flank steak is easy too cook, arguably healthier than your fattier cuts, and extremely versatile in cooking method and flavor options. Cutting the steak across the grain is key to help break down the fibrous muscle of the meat, giving you the most tender result. 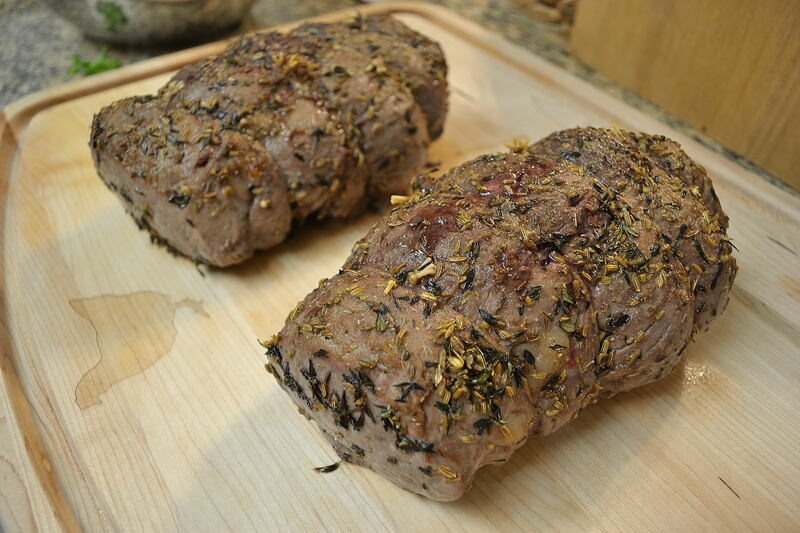 Marinades really bring out the potential of this cut, and the longer it sits the greater the taste. I learned the above method of placing a ziploc bag in a bowl from SimplyRecipes – it ensures even coating with little to no mess. 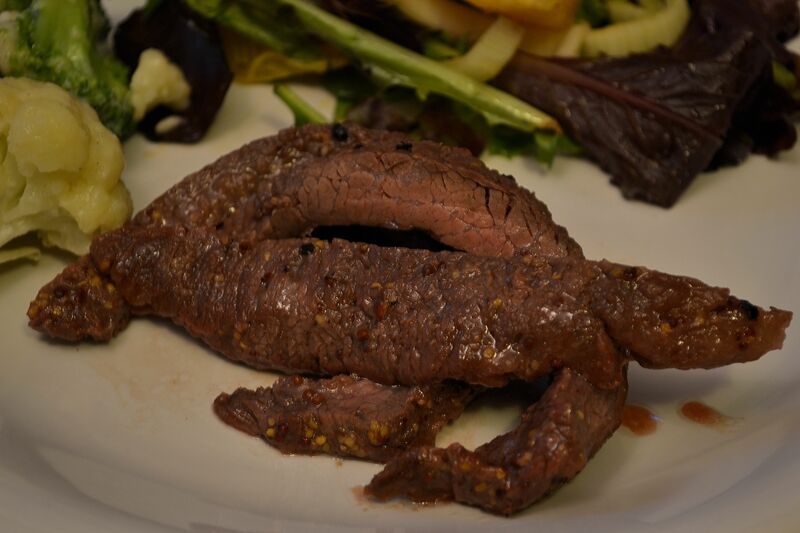 This marinade…wow was it good! It was on a complete whim, actually – I was cleaning out some old magazines and saw a SouthernLiving grilling edition. There were two pages devoted to marinades, and seeing as how I have so much OJ to spare this one was perfect! 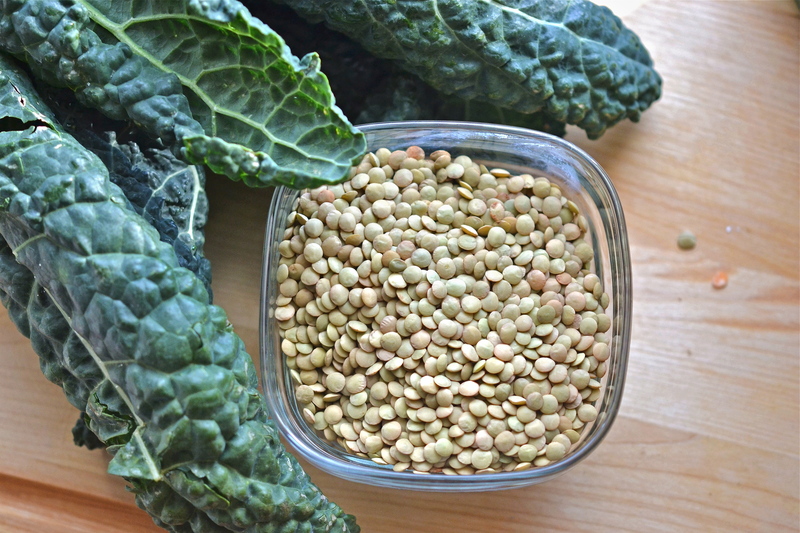 The coarse-grained mustard is essential – you can use Dijon, but it won’t have the same intensity. 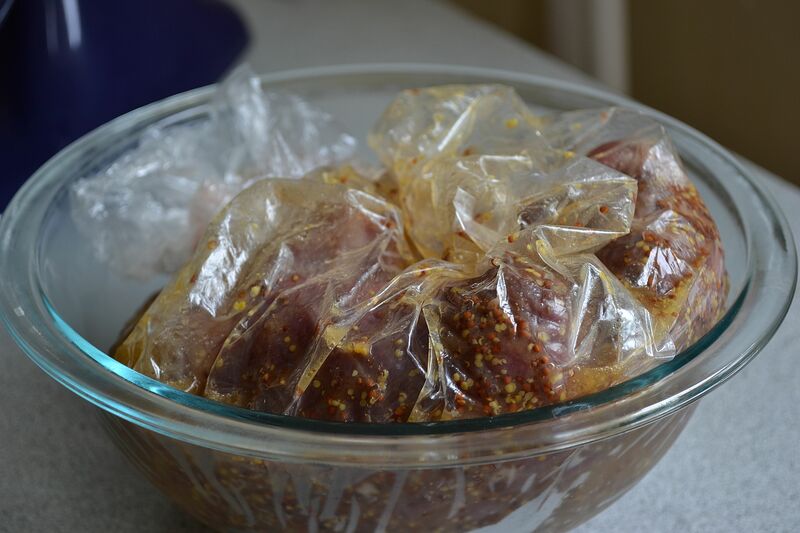 This marinade would probably be great with chicken or fish as well (something I am definitely planning on trying); I didn’t change a thing with the recipe. Given the lack of grill, the broiler was the way to go (as you can remember from my previous post). If you don’t have a broiler pan, I wouldn’t recommend using your cookie sheets; they will warp/darken considerably. A broiler pan ss a worthwhile investment if you like grilled food and have apartment limitations. Cast iron works great too, of course 🙂 The key to serving flank steak is cutting it into thin slices – it capitalizes on the meats tenderness, and makes for a beautiful presentation. This has definitely become my new go-to cut of steak for a large crowd – it’s fast, tastes great, and has less than 10 ingredients! We had pasta and steamed vegetables as sides for the steak. 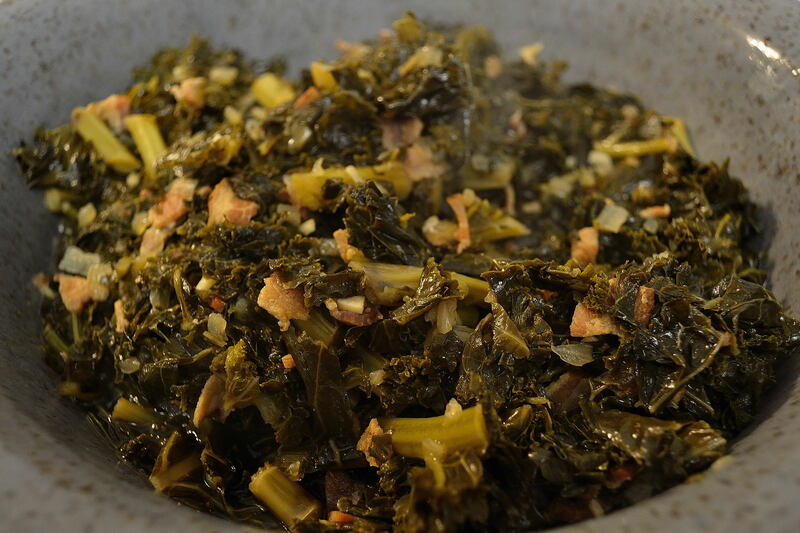 Click HERE to learn how to make this dish a staple in your own cooking repertoire. 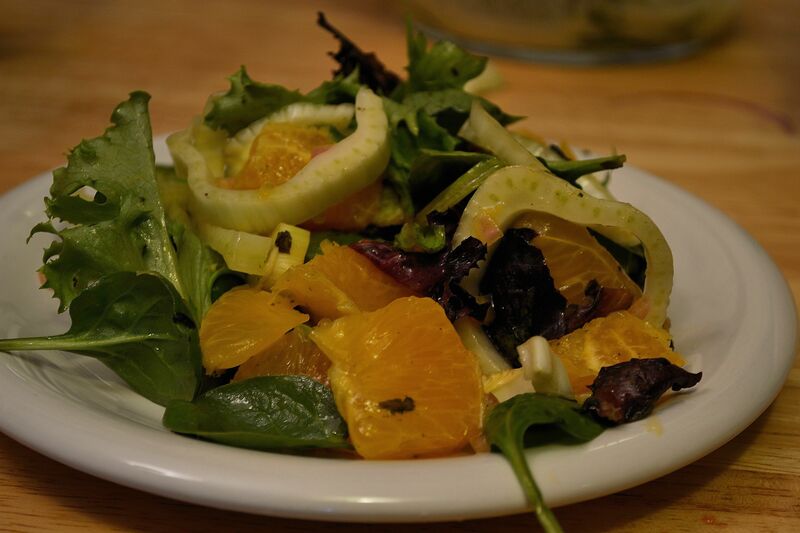 In keeping with my OJ theme, I also made a Orange & Fennel Salad with Citrus-Shallot Vinaigrette. 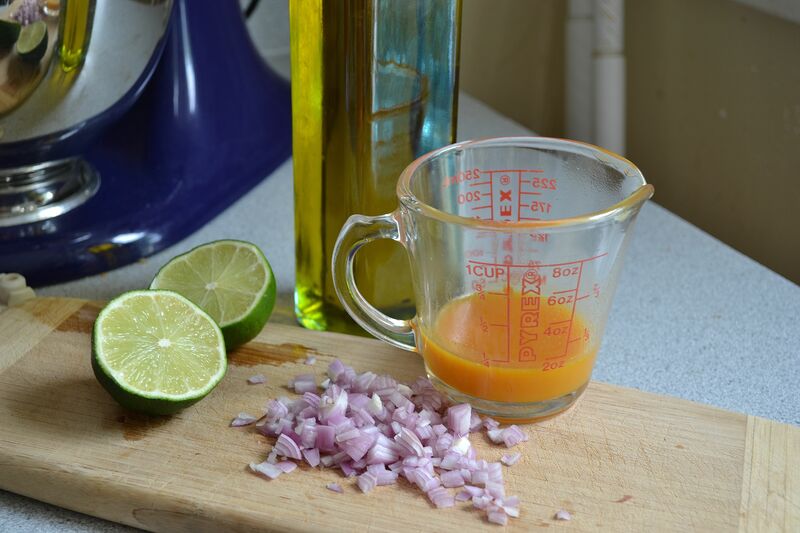 The reduced orange juice gives the vinaigrette a potent richness, needing only a touch of honey to even out the taste. 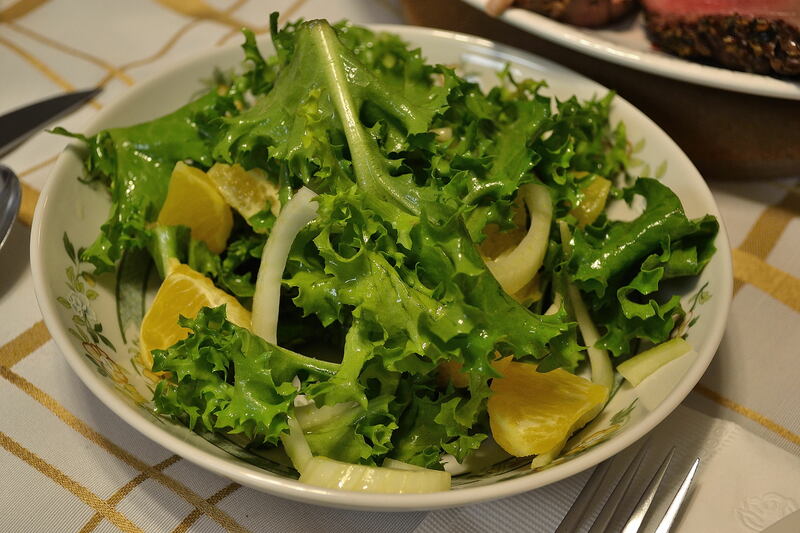 It’s such a simple recipe, yet makes a fantastic salad – click HERE to find out how to make it. For the pairing of this dish, I wanted to piece that would complement the depth of flavor these two dishes possess: colorful, yet potent. It drew my to Strauss’s renowned tone poem Don Juan, Op. 20. The work launched a 25-year-old Strauss to international success. Regarded as Strauss’s “coming-of-age” masterpiece, Don Juan displays an orchestral valor that far transcends the conservative writing of his youth. This shift of style was a direct result of Strauss’s aquaintance with fellow composer Alexander von Ritter. * Ritter’s influence led to Strauss’s pursuit of the “tone poem,” or an orchestral work that evokes a story, landscape, or other non-musical art form, and is one continuous movement. ** For a work that is not even 20 minutes in length, this tone poem is replete with emotional depth and poetic grandeur, thus my pairing. I’ve included here a recording with Bernard Haitink and the Royal Concertgebouw Orchestra – it is in two parts, and I strongly recommend listening to the entire thing. Enjoy! 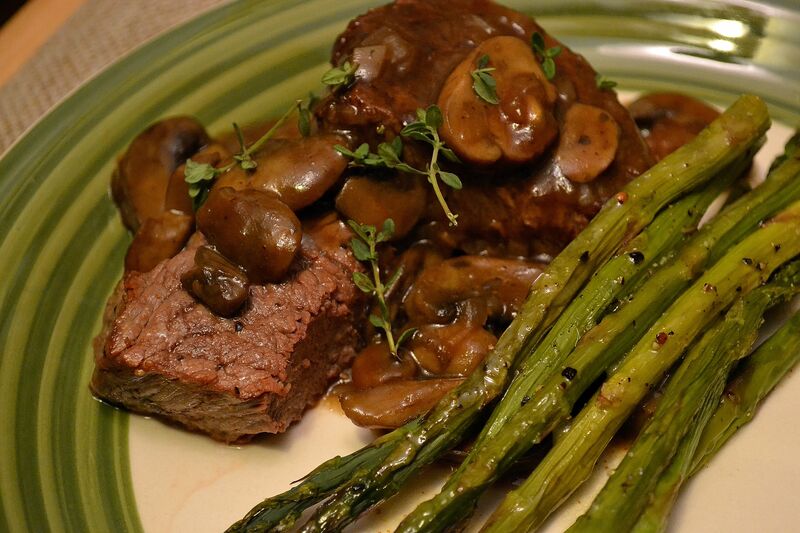 Boeuf, It’s What’s for Dinner! The famous 90’s ad campaign, voiced by Hollywood icon Robert Mitchum, was an endeavor put forth by the Beef Checkoff Program to revive the name of meat. 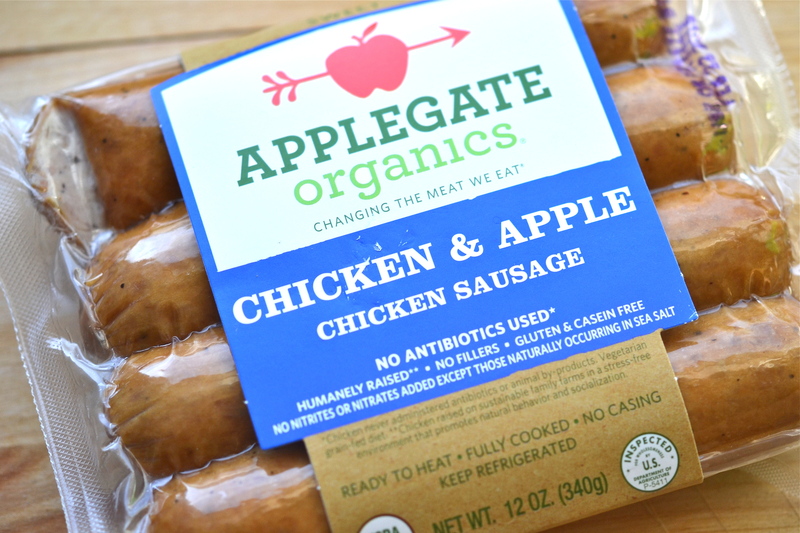 The result: Copland’s Rodeo has become a widely-recognized classical work, and beef has regained its status amongst a health-conscious America. While I’m not your standard “meat and potatoes” kind of gal, beef has certainly made a comeback in my own culinary repertoire. My initial apprehension was by no means exclusive: multiple health trends have eschewed the food group entirely, citing high levels of saturated fats and links to obesity. Yet new research encourages (moderate) incorporation of beef into a healthy diet, commending its high levels of protein and iron. I, on the other hand, can personally attest to its high level of friend-enticement: the phrase “dinner with steak tonight?” is a temptation very few friends of mine can resist. 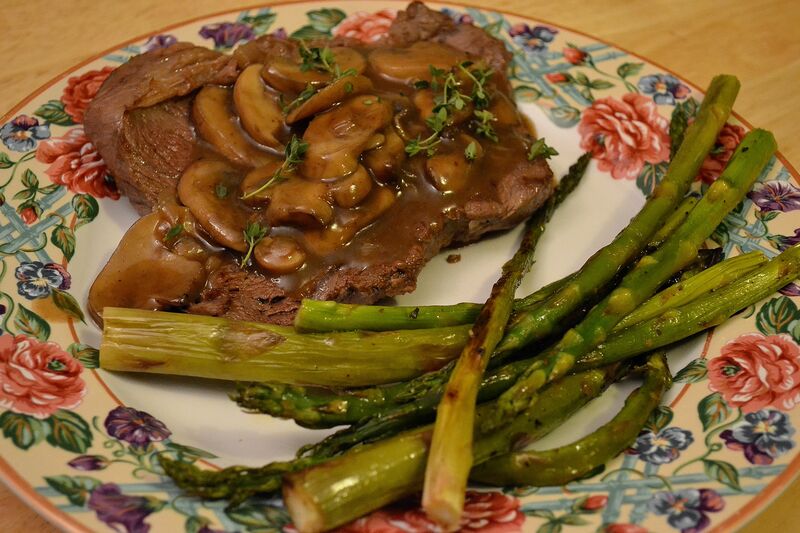 This meal was one that Mitchum would have been proud to endorse: Pan-Seared Steaks with a Port-Mushroom Sauce, and Roasted Asparagus with a Lemon Vinaigrette. Cast iron: if you want to achieve a taste comparable to the grill, this is your best bet. 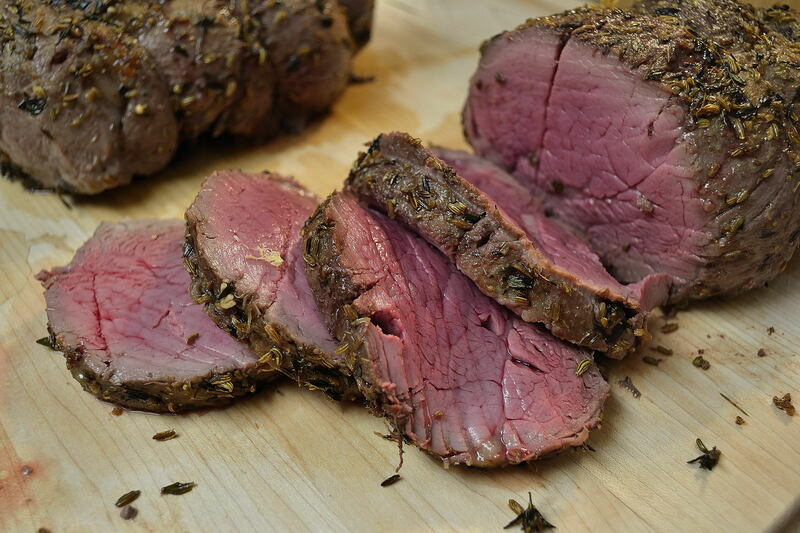 Resting period: allowing steak to rest at room temperature for 40 to 60 minutes is imperative to the cooking process (cold steaks will immediately smoke-up if added to a scorching hot pan); additionally, allowing steaks to rest after cooking (10 to 15 minutes, depending on the cut) is crucial to both the flavor and texture of the meat. 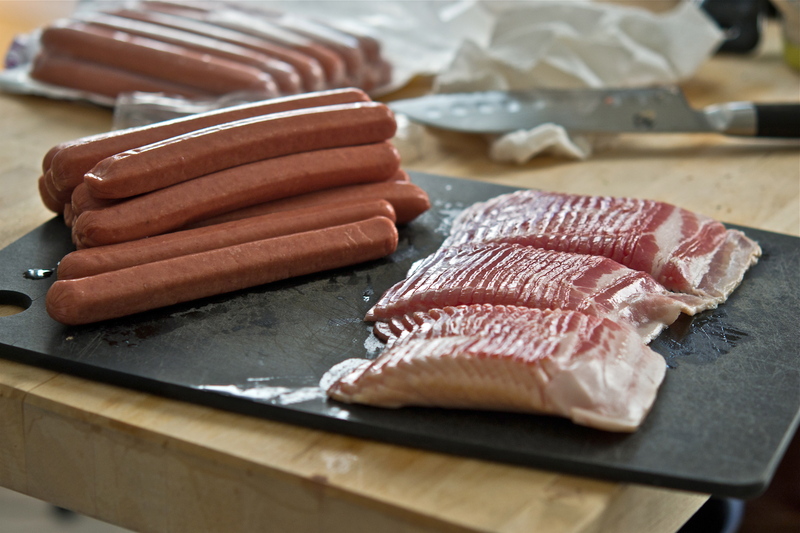 Size accountability: recipes that only call for pan-seared should use thinner cuts (or be made thinner using a meat mallet) – thicker cuts should be seared on stovetop, then transferred to an oven until desired doneness is reached. 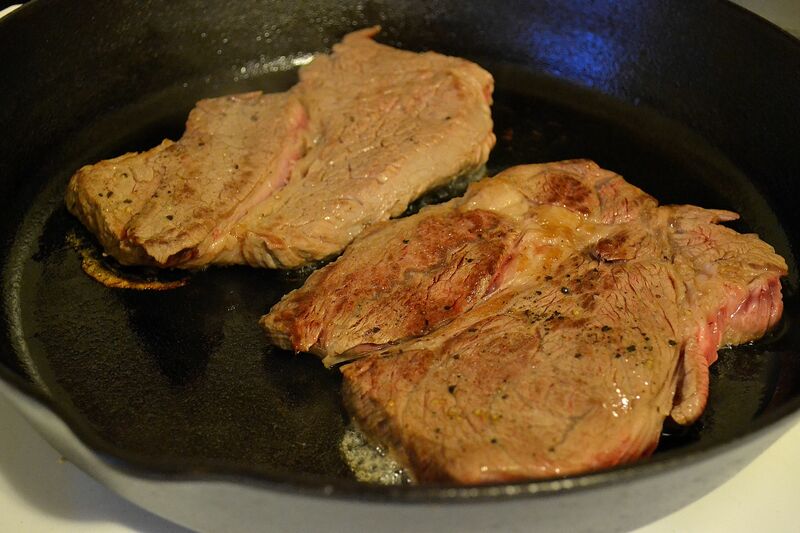 Pan sauce: grilling is one thing, but preparing steaks indoors (pan-searing, broiling, etc) will take you much farther if a sauce is added to the pan after the steaks are done (this can be as simple as onions and butter, with salt and pepper to taste). Pacing yourself: don’t overcrowd a pan – if you can’t comfortably fit all the steaks at once with at least an inch of space between them, sear in 2 to 3 batches. The pan sauce was an amalgam of several recipes (for the sake of citation, I’ll give the most credit to CookingLight magazine). 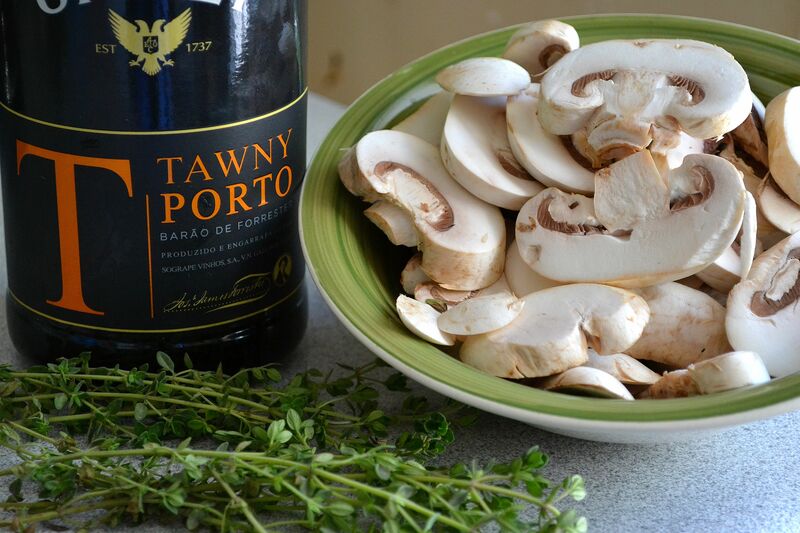 The earthy taste of mushrooms paired with the sweeter notes of Port make for one amazing steak sauce! Though originally calling for rosemary, I have always found thyme to be a more intriguing herb. The lemony intrigue of rosemary is a great pairing with root vegetables and lighter fare (chicken especially), but thyme achieves a whole new level of flavor for dishes that are heartier and more complex. For this wonderful recipe, click HERE. As I mentioned, I am not your typical meat eater, so the asparagus was the toast of the evening in my eyes. Roasted asparagus on its own is a great presentation, but this (extremely) simple vinaigrette made for one outstanding dish! 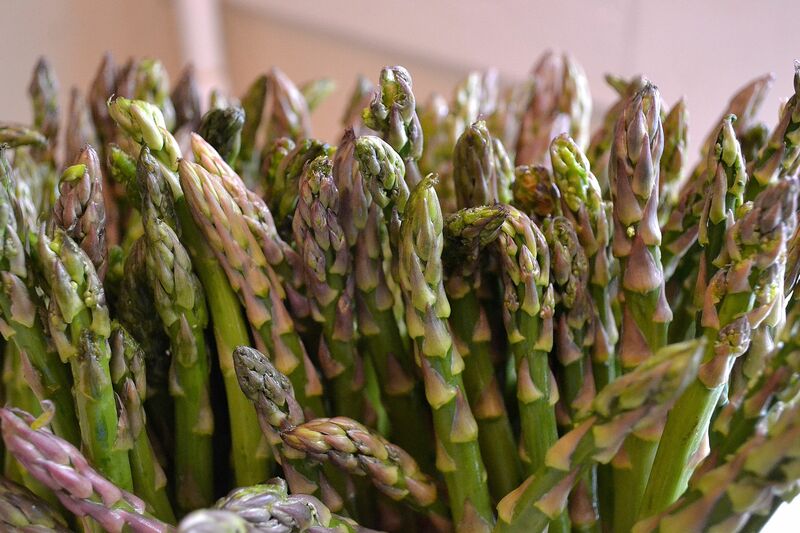 The trick to roasting asparagus is evenly spacing the spears on one to two baking sheets, with none overlapping – this will ensure uniform roasting, making for crispy tips and tender stalks. Thyme once again finds its true colors in this dish – fresh is best, but dried can easily be substituted (I’d say 1 or 2 tsp dried, depending on how much asparagus you prepare). 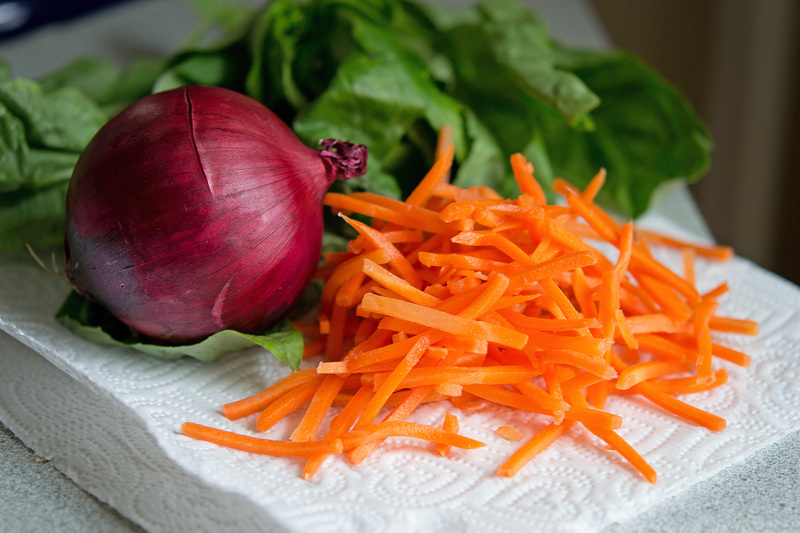 Check out how to make this awesome side by clicking HERE. 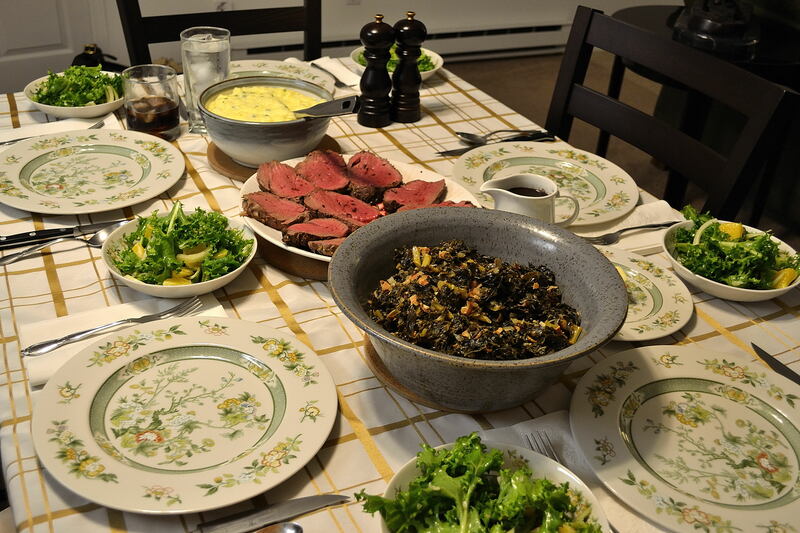 In pairing these two dishes, I had several considerations: the first (and most obvious) selection was Copland’s Rodeo – a work made famous by the original “Beef, It’s What’s for Dinner” ad campaign. Yet while waiting in Dulles for what evolved into a 3-hour delay, my coworker David recommended An American in Paris, by George Gershwin. Upon further consideration, I realized this was the a truly accurate context for the meal. Steak is certainly a dish that many American households enjoy, yet the preparation (pan-seared instead of grilled) and sauce (shallots and port wine) find stronger relevance within the French traditions. Additionally, the roasted asparagus is dressed in vinaigrette – a dressing derived from the French term vinaigre that is often interpreted as “French dressing.”* Voilà! But let’s talk about the music: this piece, composed in 1928, hopes to captures the spirit of Paris, replete with colorful personalities and breathtaking sights. Gershwin was inspired to write An American in Paris after having spent a short period of time there himself. The work gained its greatest renown nearly 25 years later through the 1951 film adaptation starring Gene Kelly and Leslie Caron. ** The video I’ve included here is from the film – it is an excerpt from the dancing duet of Kelly and Caron, dancing through a fountain in Paris to a sultry trumpet solo (by the MGM legend Uan Ransey). For those wanting more than this musical apéritif, feel free to watch the second selection: the New York Philharmonic’s historic performance in North Korea (An American in Pyongyang?) This video is in three parts, and actually transitions into the next piece of the concert in Part 3. This is a must hear work, making the film a must-see as well. Hope you enjoy, and bon appétit!